Cal Bhangra, established in 2009, was formed to promote awareness of the Punjabi culture at the University of California, Berkeley. They compete year-round in hopes of spreading Cal pride to all areas of the United States and aim to teach all audiences the art of Bhangra, so their passion can spread and their legacy can carry on. Like all bhangra teams, their dancers bring high energy and hype routines that cater to crowds of all ages. Cal Bhangra also holds auditions every semester and potentials are evaluated on how quickly and well they can pick up the choreography. During their process, they teach bhangra foundations and a tryout routine, assuming they have no previous knowledge of Bhangra. They continuously practice the choreography as captains go through and clean the movements. 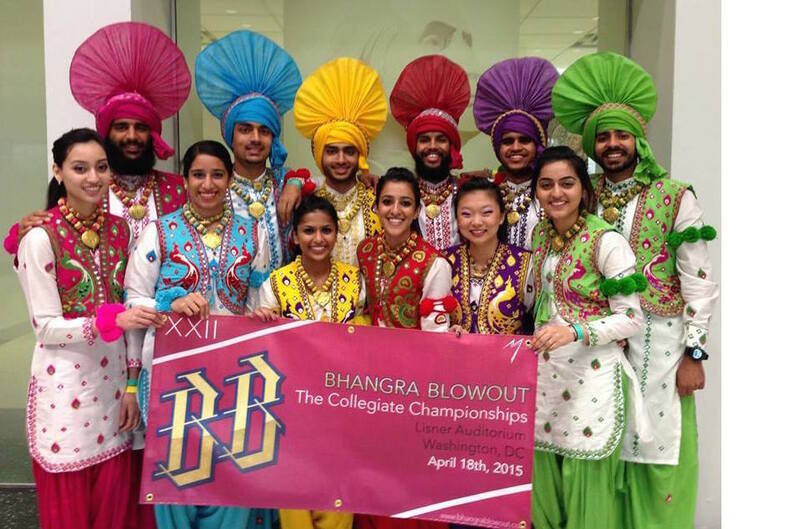 Cal Bhangra’s goal is to spread their name, improve their team, win competitions, and most of all have fun. One of the biggest challenges they face is how often the team changes due to graduating students. This poses an obstacle because it is hard to rebuild a team of experienced dancers, however it also provides an opportunity for a new beginning. Their passion for dance allows sets a foundation for a common goal in which everyone can get along. Cal Bhangra emphasizes a strong tie to culture and tradition, while incorporating elements of the modern world. To put this all into perspective, Cal Bhangra was kind enough to share with us their favorite performance.